We offer our client an excellent quality range of Multiwall Polycarbonate Sheets, which are manufactured from high grade quality raw materials. These Multiwall Polycarbonate Sheets can be customized as per our precious customers specifications. These Multiwall Polycarbonate Sheets are widely known for its durability and quality. 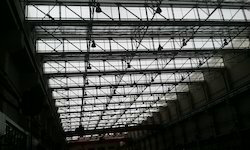 Our Multiwall Polycarbonate Sheets can be availed at industrial leading price. We are a well-established company providing our quality product Multi Wall Polycarbonate Sheets, which is widely used for roofing purposes. The offered sheets are manufactured using only premium quality basic material to offer optimum quality and finish. 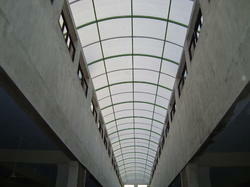 Since our inception, we are instrumental in offering premium quality array of Multi Wall Polycarbonate Sheet. Offered wall sheet is manufactured using sophisticated machinery and high grade polycarbonate. Provided wall sheet is well-known in the market, owing to its indispensable features. Furthermore, the offered sheets are broadly acknowledged by our esteemed clients for its durable standards and crack-resistance. Apart from this, we offer these sheets after proper quality checks at an affordable cost. Looking for Multiwall Polycarbonate Sheet ?